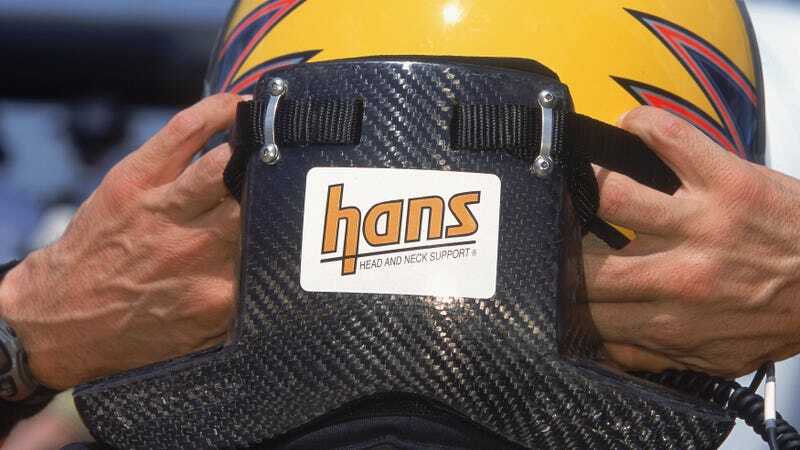 People familiar with racing will know of the HANS Device—a Head and Neck Support Device that tethers a driver’s head to a raised collar in order to keep the head and neck rigid in the event of an accident. The creator of the HANS Device, Dr. Robert Hubbard, died on Tuesday, February 5, 2019. While Dr. Hubbard, aged 75, was the one who actually designed and built the HANS Device, he wasn’t alone. The idea had initially been brought to Hubbard by his brother-in-law and IMSA racer, Jim Downing. Downing had had a bad accident of his own and had also watched one of his friends die in a bad accident. Hubbard had a list of qualifications that made him a great fit for Downing’s project. He was a professor of materials science and mechanics at Michigan State University, earned a PhD in the mechanical properties of skull bone, and had worked for General Motors researching injuries and testing crash dummies, all in the name of vehicle safety. The HANS Device took years to catch on. Downing implemented the device successfully in his own car during his career, but they only sold 250 devices in the first ten years of its availability on the market. It was only after Dale Earnhardt Sr.’s fatal accident in 2001 that the racing community decided to regularly start implementing the device. An article in a 2016 edition of the Journal of Neurosurgery noted that “before 2001, catastrophic craniovertebral junction (CVJ) injuries were the most common cause of death to drivers in the fast-paced sport of professional car racing.” Since the HANS Device was mandated in professional auto racing in the United States, no CVJ deaths had occurred in NASCAR or CART. That’s one hell of a legacy to leave behind. Dr. Robert Hubbard’s contributions to the safety of motorsport have had an incredible benefit for the world of racing and will be remembered long after his passing. Would These Racers Have Survived This Crash Without A HANS Device?